I don’t think he had ever had pretzels with cheese at that time. 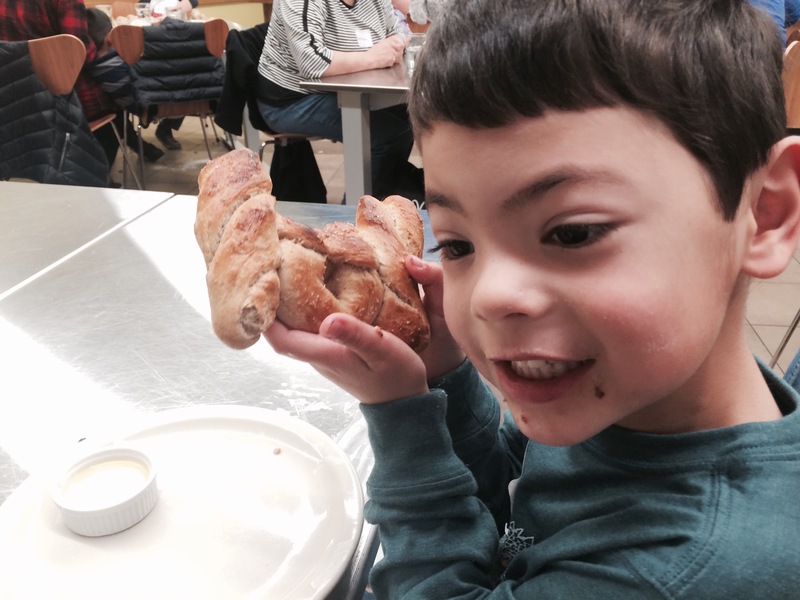 After weeks of waiting, he finally got to attend the class and learn how to make pretzels. 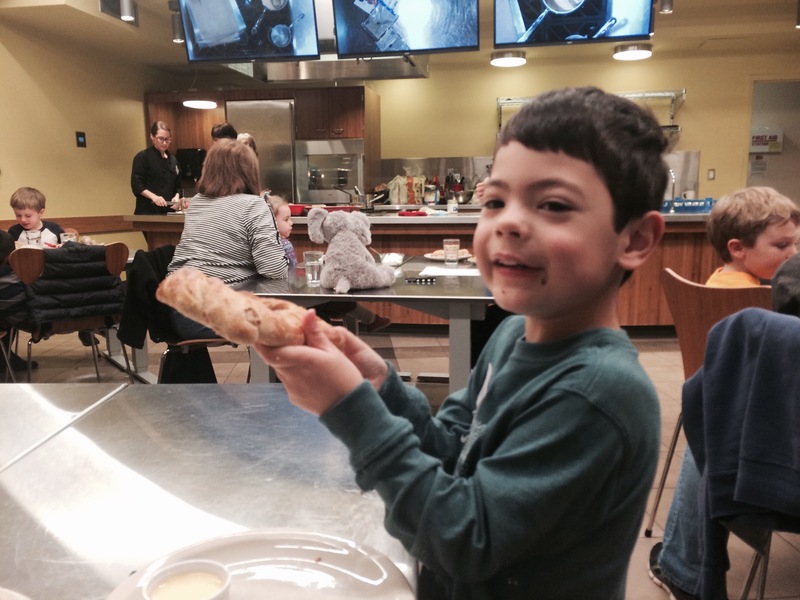 Some good friends joined us, and the boys had a great time making baked apples, kneading dough, shaping pretzels, and eating. The teachers of these classes make this a really fun experience for kids. Kids are encouraged to do everything themselves, and there is no wrong way to do anything. 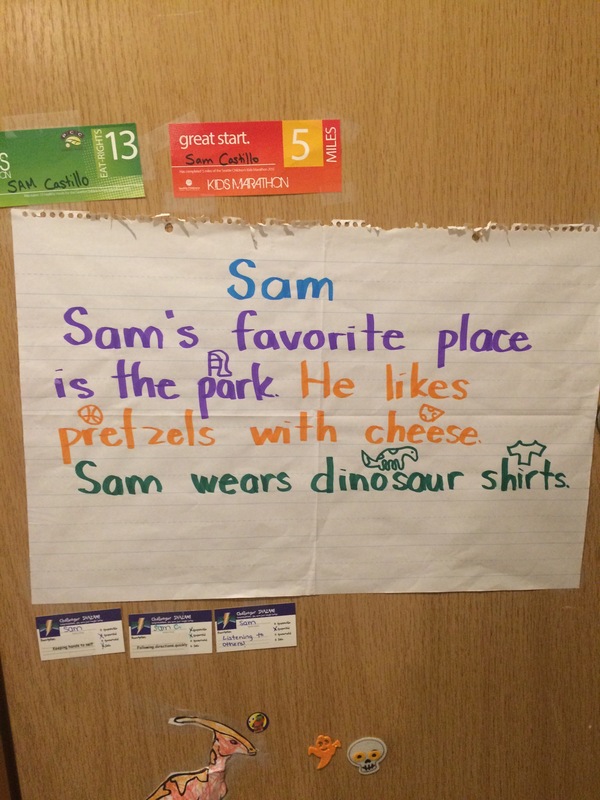 Once Sam had formed his pretzels, he asked the teacher what would happen if he put them all really close together on the baking sheet. She told him that they would bake together into one giant pretzel and asked if that was what he wanted. 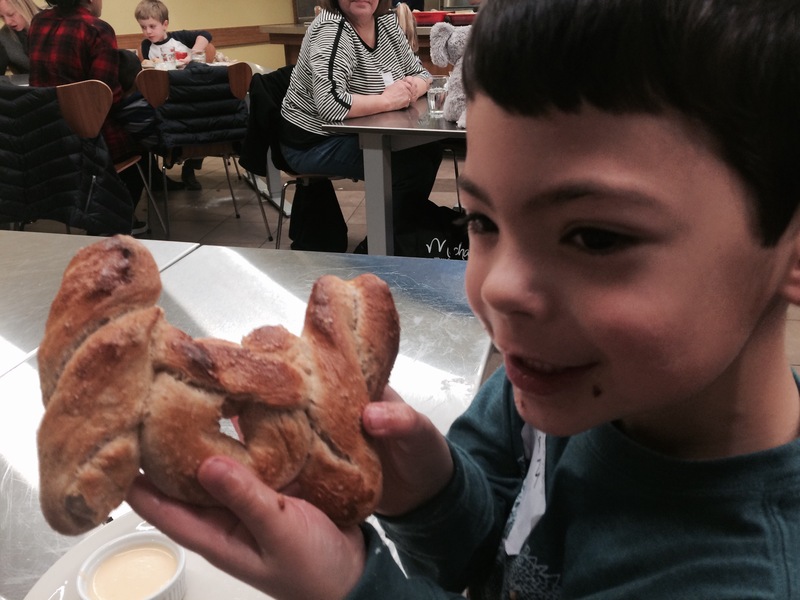 He decided to make one big pretzel and was very proud of the result, especially after the teacher told him that his pretzel looked like a tie fighter from Star Wars. Wow! She’s right, Sam. That does look like the star fighter in Star Wars! Great job!! !